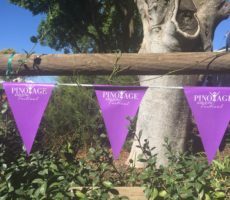 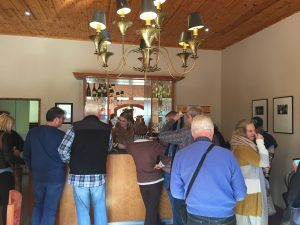 I must have already travelled some 80 kilometres from my overnight stay in McGregor to Bushmanspad, Jan Harmsgat and Van Zylshof before reaching Langverwacht for my fourth tasting on Day 2 of the Wacky Wine Weekend. 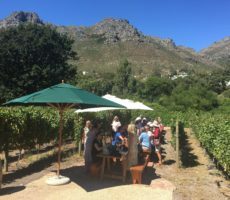 The wineries were already getting busy and that was before the weekend peak. 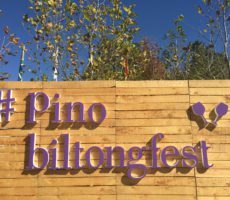 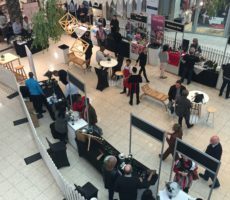 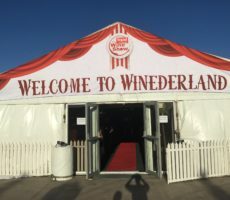 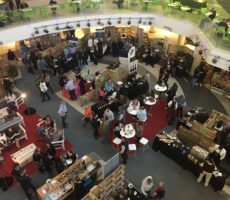 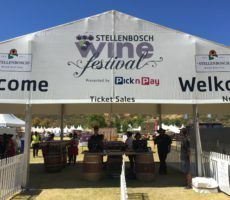 There is no doubt that for the serious wine enthusiast the Thursday and Friday are the best days, after which is it a struggle to thread one’s way through queues for wine. 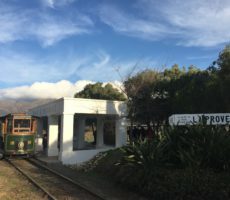 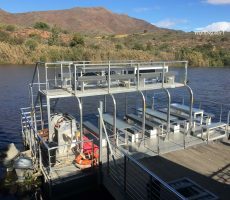 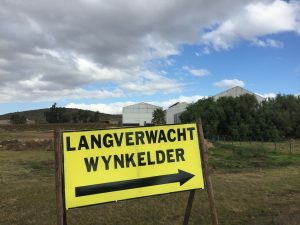 Langverwacht, just south of the Breede River and to the West of Bonnievale, made sense for me to visit as I was heading next to Rivergold. 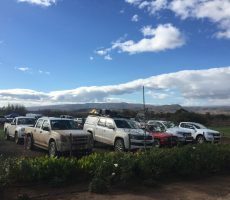 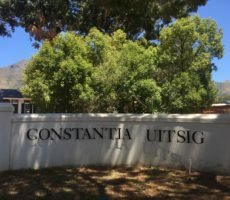 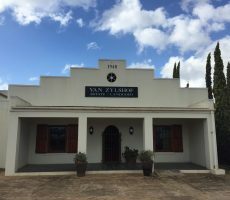 It was lunchtime when I arrived at Langverwacht, parking beside the tan industrial buildings that herald a cooperative winery. 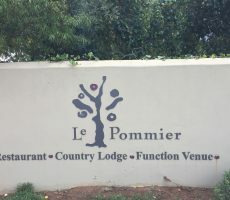 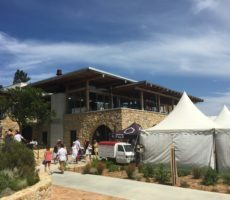 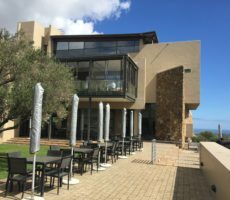 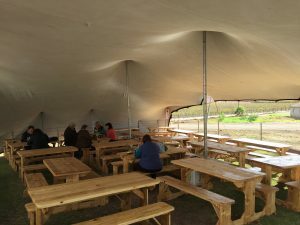 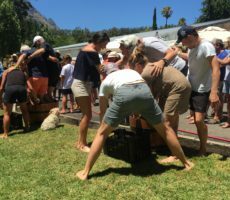 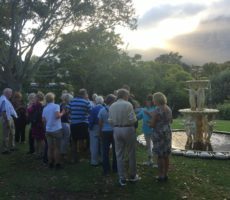 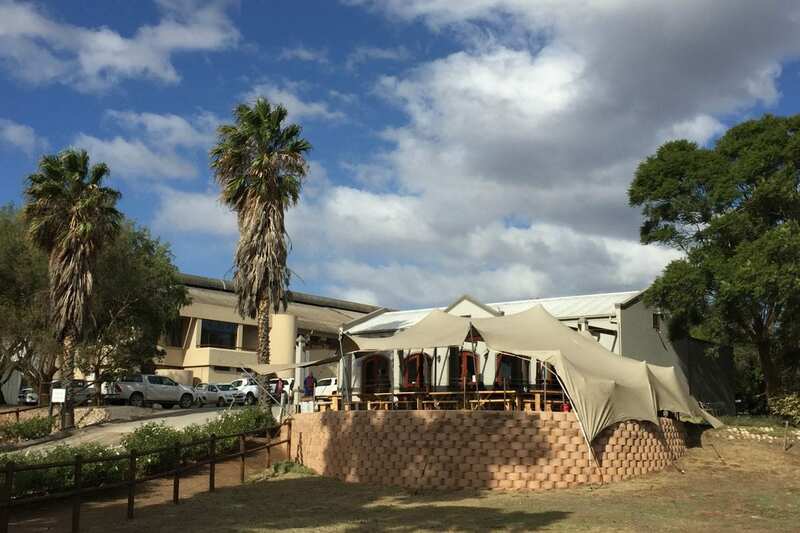 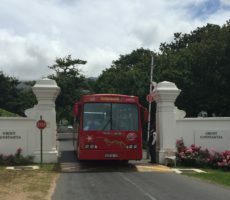 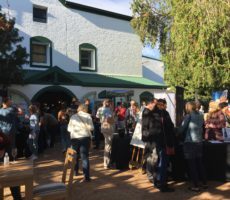 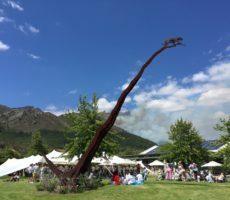 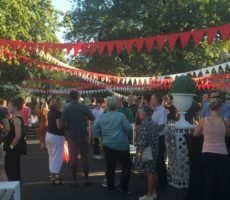 Marqueés were outside the main building but most visitors were enjoying their lunch of Perlemoen/Abalone op Rys, Calamari op Rys, Mosselsop or Boereworsrol in the dining area next door. 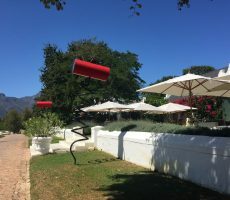 The air was filled with noisy chatter of Afrikaans. 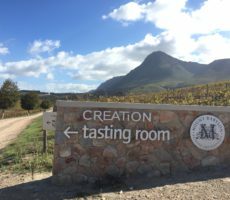 The Tasting Room was filled with the aromas of deep fried calamari as I entered. 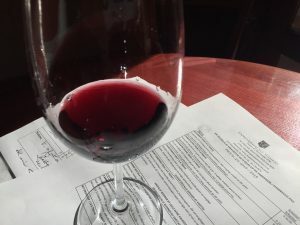 Four white and 4 red wines were listed on the Tasting Sheet. 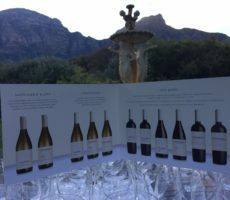 I chose to taste all save the Sauvignon Blanc that I had tasted much of elsewhere and the 4 Barrel Shiraz (not available for tasting). 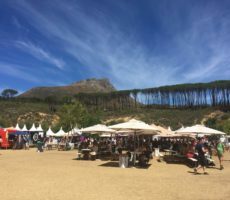 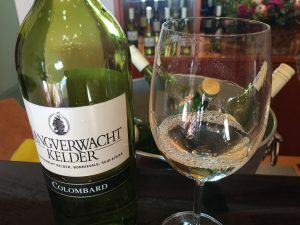 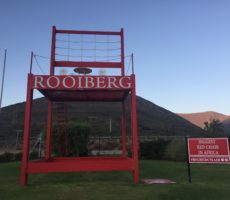 I tasted Colombar(d) before at Rooiberg and Bon Courage during last year’s Wacky Wine Weekend but never outside the Robertson Valley. 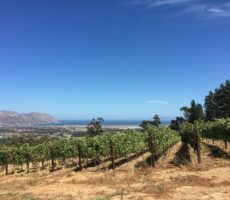 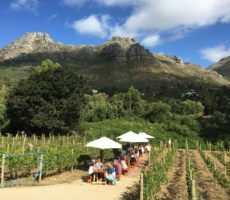 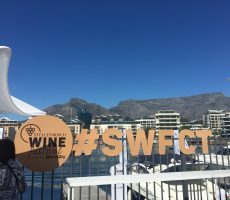 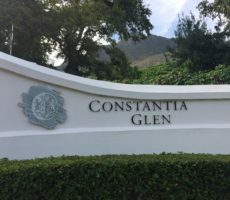 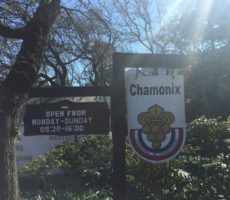 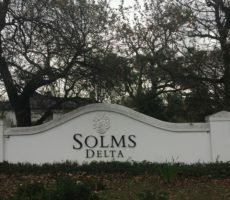 The variety is grown in almost 12% of South Africa’s vineyards (by area) but rarely made into a single variety wine, as it is mostly used for brandy production or to sweeten and reduce the acidity in white blends. 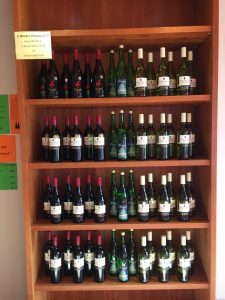 The shiny pale straw wine had been bottled just a week previously. 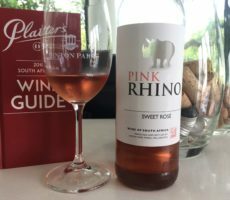 It was medium-dry on the palate with simple, restrained flavours of fruity lemon and ripe melon. 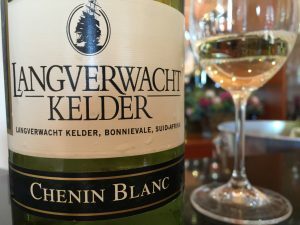 The Chenin Blanc was another simple wine in terms of complexity and intensity but good value for R40. 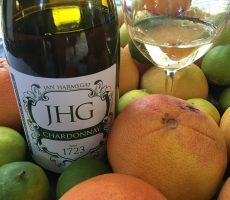 Tropical fruit salad notes mingled with Sauvignon Blanc-like herbaceousness that followed through to the palate but little beyond to the finish. 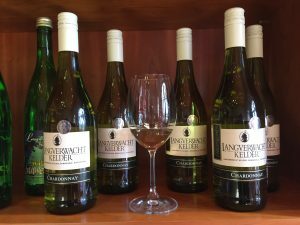 The unwooded Chardonnay was shyer still with the apple aromas very restrained in the mouth for a fresh, acidic feel. 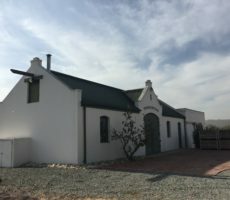 The Cellar was built in 1956, a year before I was born, and originally named the Boesmanrivier WineCellar. 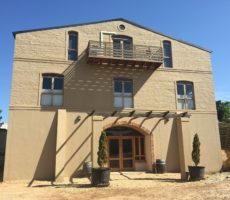 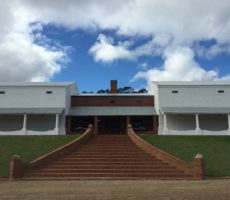 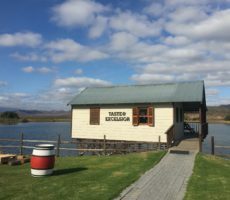 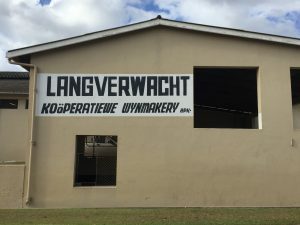 Confusion with the Boesmanrivier Cheese Factory led to a name change – Langverwacht being the name of the farm on which the cellar was built. 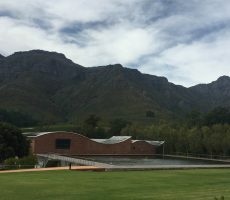 The Wynkelder is known for its Colombar, Chardonnay and Shiraz (80% of the wines produced are white). 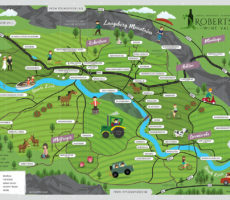 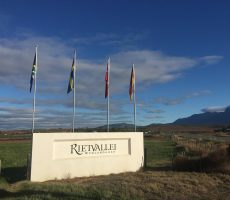 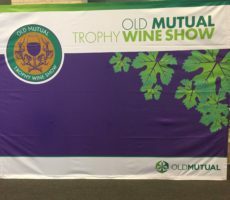 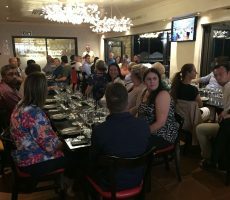 The cooperative is relatively small, with 25 owners and 13 main members that bring 13,000 tonnes of grapes annually from the combined total of 640 hectares under vine. 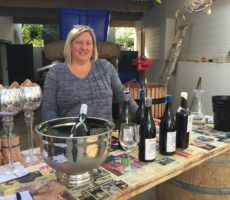 Most of the wine is made in bulk with a limited amount bottled under its own label for the local restaurants and clientele. 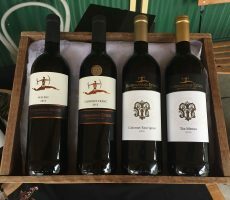 Ruby Cabernet is another rarely tasted wine. 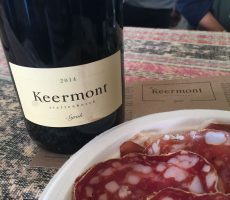 It is a USA cross between Cabernet Sauvignon and Carignan and, like Colombar, used mostly for blending. 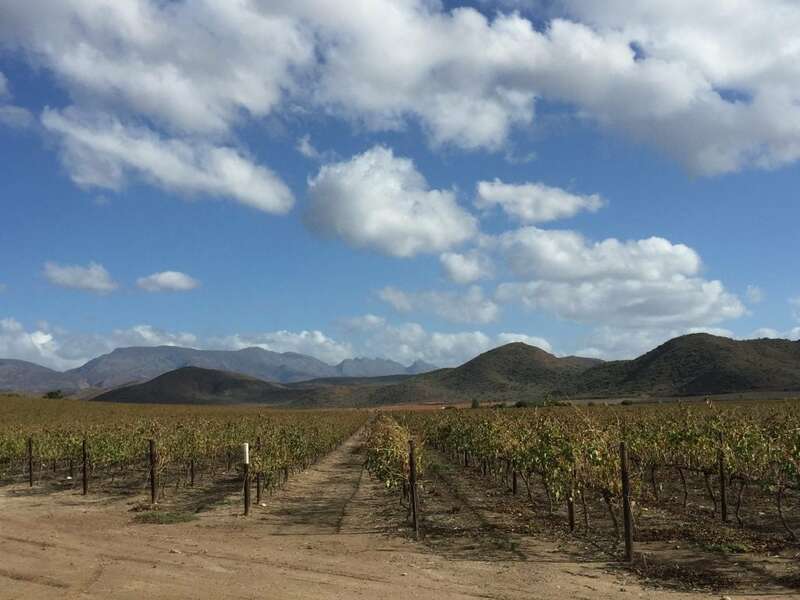 The cultivar was created in California in 1936 and intended for hot climates. 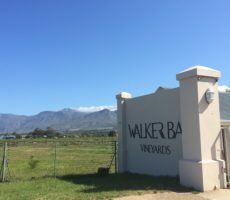 It produces heavy yields of earthy flavoured dark wine. 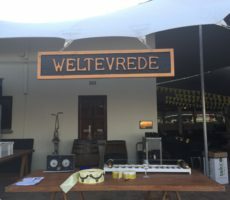 The Langverwacht wine was paler than expected, of medium to deep ruby in colour and medium body in appearance, and with none of the anticipated earthy notes. 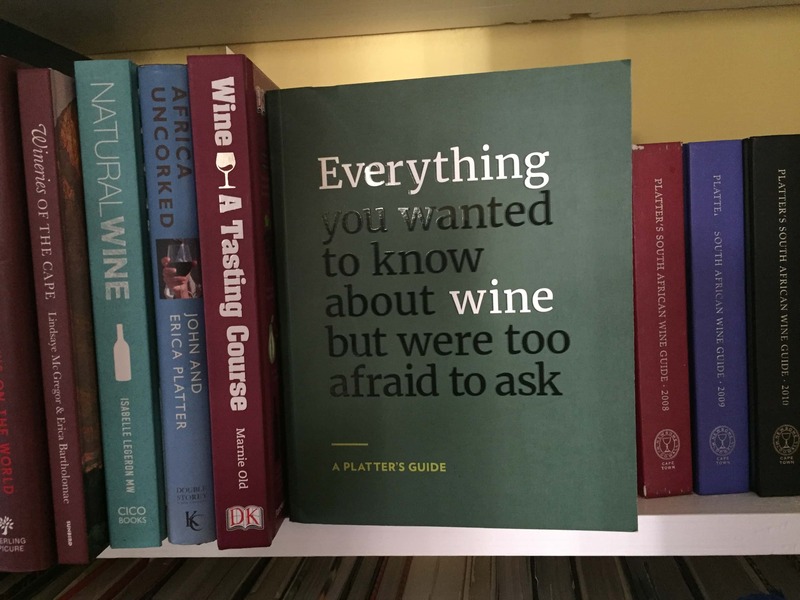 Simple red cherry, plum and blackcurrant notes on the nose were drowned by high, dry tannins on the palate made using oak staves in a stainless steel tank. 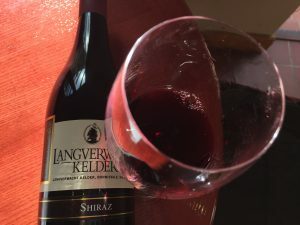 I rated the Shiraz, made using the same method, equally. 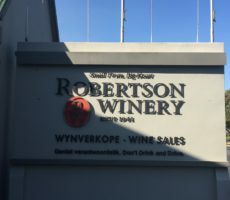 I detected black peppercorns and dark fruits on the nose but it was difficult to distinguish the individual fruit aromas. 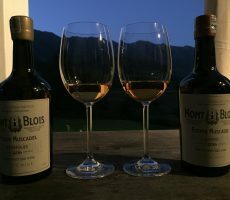 Dry tannins similarly overpowered on the palate to leave a bitter finish. 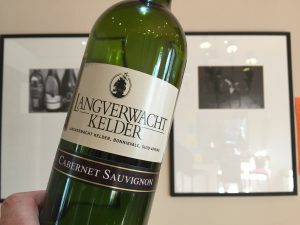 I much preferred the Cabernet Sauvignon that was matured for 14 months in 2nd/3rd/4th fill barrels. 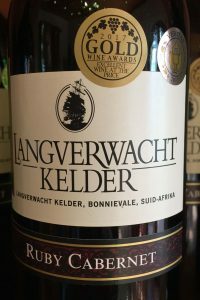 The red to dark fruit aromas were also simple but the tannins were softer and better balanced for an easier mouthfeel. 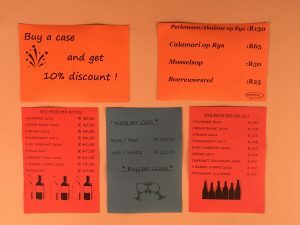 Langverwacht makes cheap wines (all under R65) for what appeared to be the mostly Afrikaans market. 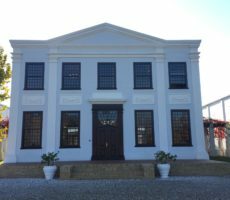 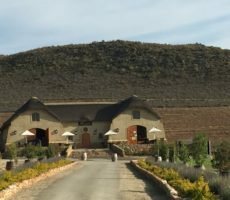 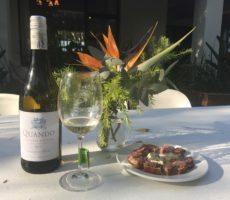 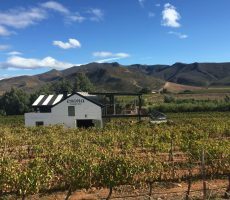 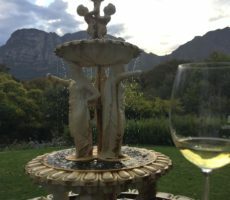 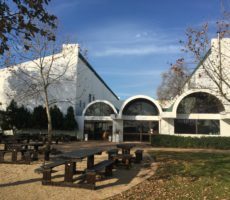 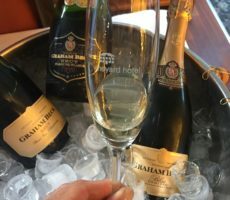 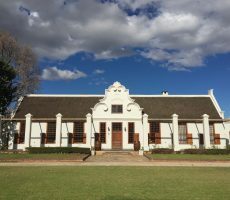 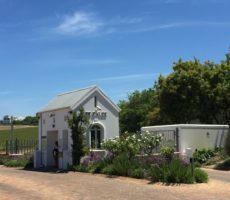 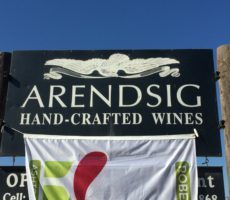 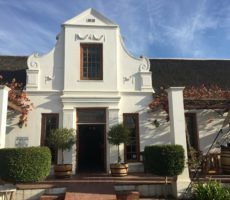 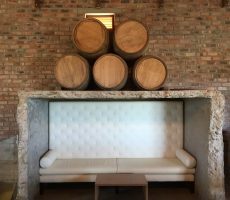 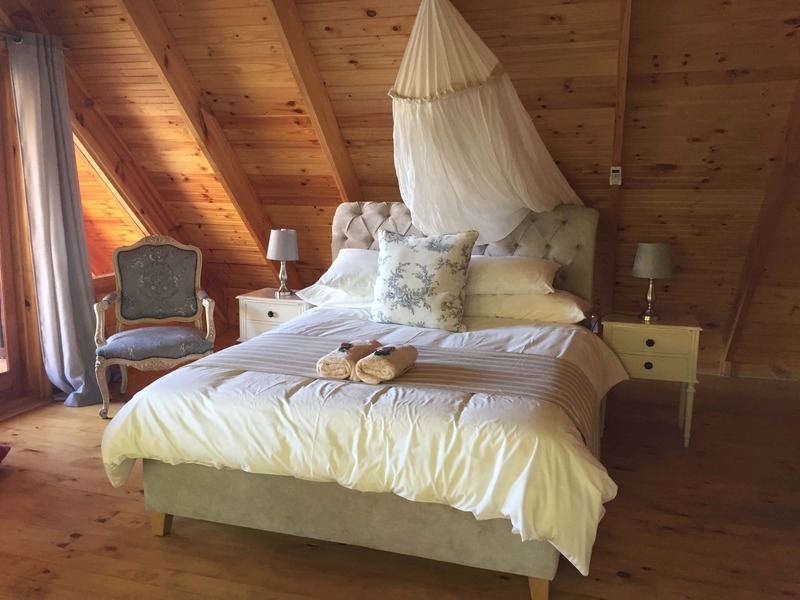 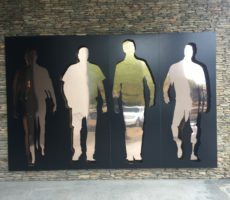 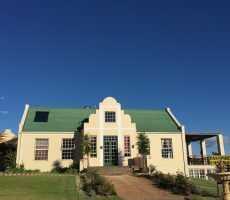 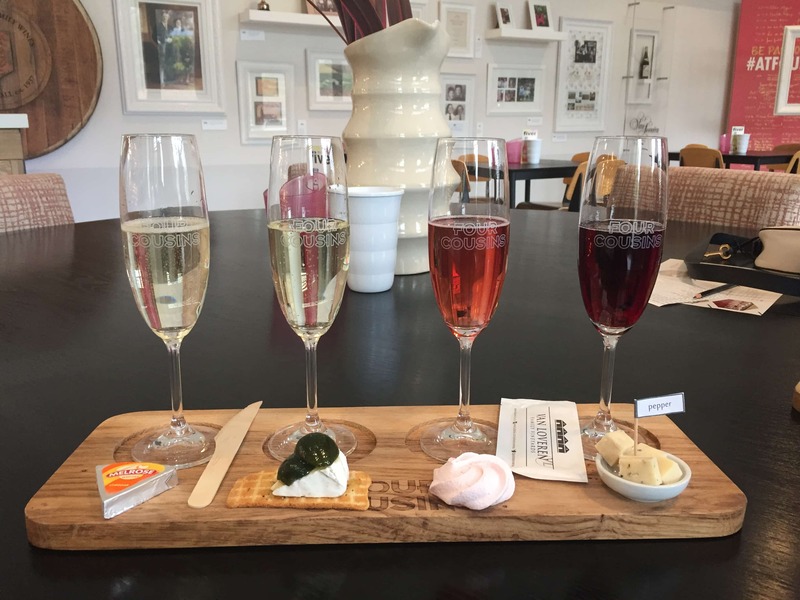 Like Van Zylshof, the quality of wine will never match the elegant and refined offerings of De Wetshof, Springfield or Arendsig – but then it does not seek or want to. 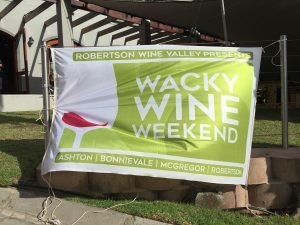 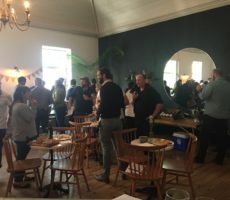 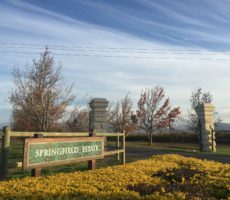 These were honest wines of variable quality and relatively low alcohol (13-14%) that well meet the needs of the valley clientele if the hustle and bustle of lunchtime was anything to go by. 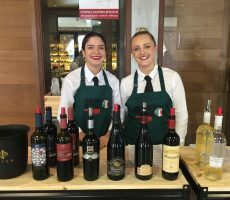 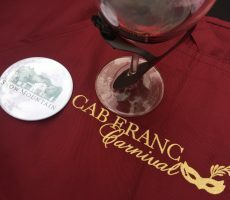 I liked the chance to buy Colombar and Ruby Cabernet – the first time I had tasted the variety – that are rarely available elsewhere.